In a meeting of the Grand Regional Lodge on June 10, 1915, he was granted the authority to convoke a general assembly which was subsequently held from July 4 to 5 at the Manila Grand Opera House. The assembly, attended by more than 300 Masons and presided over by Manuel L. Quezon, (then Resident Commissioner to the US), by virtue of two resolutions, caused the issuance of a formal protest over the formation the American-sponsored Grand Lodge of the Philippine Islands and the adoption of the bases for reorganizing the Grand Regional Lodge of the Philippines into an independent, national grand lodge. On August 8, 1915 in a special meeting, the final text of the formal protest written in Spanish, was adopted, signed and sealed by the Grand Secretary Ramon Mendoza and attested by Teodoro M. Kalaw, Venerable Grand Master. It was sent through the Grande Oriente Español, to the different Masonic Bodies of the world. The Grand Lodge of the Philippine Islands received a copy from the Grand Regional Lodge on August 14. But for all its logic and substance the protest came three years after the American Grand Lodge was established and when it had already gained foothold by aggressively pursuing and gaining, as early as 1913, recognition of many state Grand Lodges in the United States of America and by 1915, some other Grand Lodges in foreign countries. The delayed protest maybe due to the Filipino Masons’ long experience of having in their midst lodges from multiple jurisdictions; Spanish, British, Scottish, German, French and Portuguese, with members either intermingling or ignoring each other and no grand lodge claiming exclusive territorial rights. An additional grand lodge was perhaps in their minds, just one more that would serve to enrich their experience. But the real reason was the inaction of Felipe Buencamino, who took over Juan N. Aragon as Grand Master of the Grand Regional Lodge and served from 1913 to1914. Buencamino was said to be avidly pro-American and, declaring himself to be American, did not challenge the new grand lodge. He was, in the words of Fajardo (1990), an “Americanista through and through.” He also became a member of the Executive Commission, an entity within the Grand Regional Lodge which Kalaw described as useless as it existed only in name and had always been an encumbrance to them. (Kalaw, letter to Grand Master Morayta, July 17, 1916). “. . . .The most important question is that the American Masons have started a very active propaganda campaign among the Filipinos, making them believe that they, the American Masons, are the only ones who are regular, that their Grand Lodge is recognized by the majority of the Grand Masonic Bodies abroad, especially those of the United States, and that they have come here to regularize and improve Philippine Masonry. . .
“. . . . I convoked the Grand Assembly of Master Masons in order to submit to them, first, the fact that the constitution of the American Grand Lodge and its later activities involved a serious menace to our Obedience and its rights, and, second, the fact that the Grand Regional Lodge lacks, in accordance with our present regulations, the authority, means and power required to contend openly for our rights, should it become necessary. . .
“. . . . We need authority to act, to rule ourselves, to defend ourselves, to fight for our existence. As you, gentlemen, are so far away, it is not possible for you to do much, neither do we expect it. What we expect, however, for the welfare of our Fraternity, is that we be granted full freedom.” (Kalaw, August 27, 1915). 1-That its name should hereafter be Grand National Lodge of Ancient and Accepted Masons of the Philippines. Its brief title shall be Grand National Lodge of the Philippines. 2-That it will be regulated by its own Constitution, drawn up and approved by the present members of the Grand Regional Lodge of the Philippines and by three additional representatives of the lodges of its jurisdiction, to be later sworn to by these lodges and by all those that in future may be established under the new Constitution. 3-That the same powers and executive rights, legislative and judicial, as those invested upon the Sovereign Grand Lodges of the United States and other countries, be conferred upon said Grand National Lodge of the Philippines. 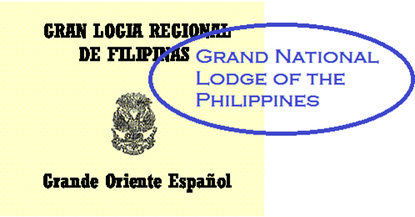 4-That the Grand National Lodge of the Philippines, after being duly constituted will assume the full sovereign authority and territorial jurisdiction over the symbolic lodges in the Philippines, as the legitimate successor of the Grande Oriente Español. According to Kalaw, the representatives of the general assembly were well aware that they could, if they so desired, constitute a sovereign Grand Lodge without permission from the Grande Oriente Español. On the other hand, since they also wished to claim the rights of jurisdictional succession, they were averse to breaking all ties and wanted the separation to be amicable. As the dilemma was left to the Grand Regional Lodge to address, Kalaw took the burden for its resolution. He immediately informed Grand Master Morayta of the proceedings of their general assembly and proceeded to draft a constitution based on the points recommended. It took six months to finalize the constitution and be ratified by representatives of all the subordinate lodges which met as a constituent assembly on January 30, 1916. 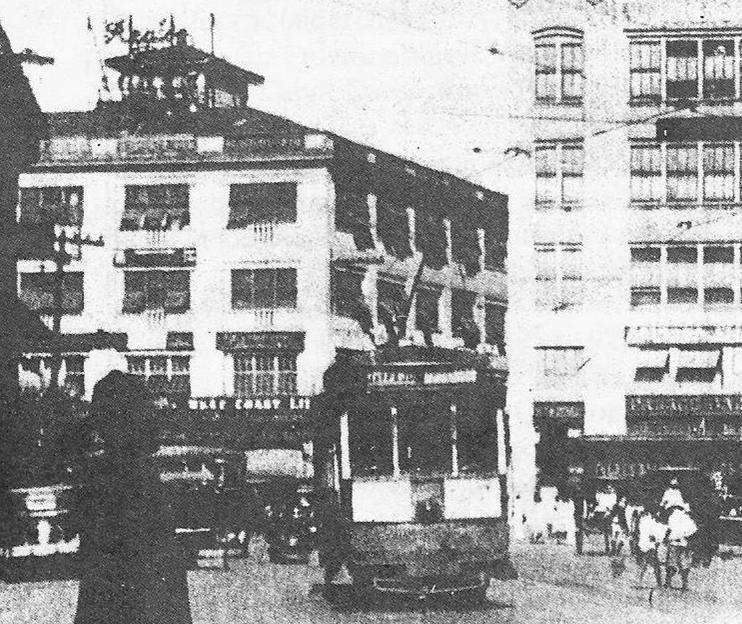 Morayta was apprised of this development in March but the constitution and other pertinent documents were sent to him for the approval of the Grand Council of the Order in Madrid only on October 14, 1916. Among the reasons for the delay, Kalaw explained, was that they wanted to wait for the approval of the Jones Bill in US congress– an act that would give Filipinos autonomy in domestic affairs. He said Filipino Masons believed that Masonic independence might be held a legitimate corollary to political independence. In a lengthy letter, Kalaw also justified in detail the reasons for their demand, the proposed constitution and the form of the grand lodge they decided to adopt. “. . . . It is my duty, as Worshipful Grand Master of the Grand Regional Lodge, to speak to you frankly. Several prominent brothers have already held some meetings and have decided to advocate openly the fusion, unless before next February—month appointed for the meetings of the American Grand Lodge’s Assembly- we hear from the Grande Oriente Español that a favorable decision has been rendered on our petition. It is for this reason that I am writing to you with the request that upon receipt of this letter you inform the Illustrious Gran Maestre and the members of the Grand Council of the Order, of all that is taking place here. . . .
That unlike his previous communications, the letter was addressed to the Grand Secretary was probably because Kalaw did not want to directly confront Morayta with such an ultimatum; out of respect to the stature, long friendship and great contribution to Philippine Masonry of the Gran Maestre. Marcelo H. del Pilar, Jose Rizal and Filipino Masons in Spain became close friends of Morayta, Gran Maestre of the Grande Oriente Espanol. Before the revolution Grand Master Morayta was an active participant in the Filipino campaign for colonial reforms in Madrid; heading as president, the Hispano Filipino Association and contributing to the periodical La Solidaridad, the mouthpiece of the propaganda movement. He endorsed the campaign for the reinstatement of Philippine representation in the Spanish Cortes (parliament); enjoyed since 1812 but was cancelled after a coup d’ etat in 1837. On October 10, 1890 through the Grande Oriente Español, he addressed a circular to all lodges in Spain to support such campaign by urging Spanish Masons to use their influence among their Representatives and Senators. He encouraged the establishment of Filipino lodges; first, Logia Revolucion in Barcelona then Logia Solidaridad in Madrid and finally the early true Filipino lodges in the Philippines. When the Philippine revolution erupted, he was arrested and accused as a traitor to Spain. Even as he was exonerated, he was kept isolated and scorned. “. . . How, then, can it be possible that, when the Filipinos become free citizens by a resolution of the Congress of the country that considers itself their conqueror, their territory, occupied by Spanish Masonry already, may be placed vere nullius at the disposal of whomsoever wants to become established in same? “The Filipinos are masters of their country, morally and materially, in every sense of the word. .
“. . . .Keep always in mind that the strength of the Fraternity rests upon its discipline, its faith, its example, which virtues you possess, and so account for your Masonic combativeness. . . .
Grand Master Morayta died at the age of 83, on January 18, 1917. Up to the announcement of his death in the Philippines on January 24, no word was yet heard regarding the decision of the Grand Council of the Order. Their last link to the Grande Oriente Español severed with Morayta’s death, the Filipinos agreed to negotiate with the Americans. Before the end of the month, two separate committees, one American and the other, Filipino, were formed to lay down the terms of the fusion of the two Masonic Bodies. By February 2, 1917, Filipino Lodges had ratified the terms of the fusion agreed upon by the two committees. Optimistic, they made preparations for a banquet to follow the joint assembly which was scheduled for February 13. Before this date a cable from Madrid arrived announcing that the Grand Council of the Order had acceded to the Philippine petition, pending final decision to be rendered in their June assembly. It was however, deemed too late and ignored. But Filipino lodges would be denied the planned fusion via a constituent convention. The American integrated Lodges wanted “fusion” by affiliation and in an informal meeting on the very day before the scheduled convocation, rejected the draft agreement. In the end, all the terms and conditions of the original fusion agreement were set aside as Filipino lodges, through the efforts of Manuel Quezon, eventually yielded to the American demands. Morayta’s final words proved prophetic after all. Logia Bagong Buhay No 291 was the first lodge established in 1907 under the Gran Logia Regional de Filipinas of the Grande Oriente Español . It had the distinction of having as honorary member, the Gran Maestre of the Grande Oriente Don Miguel Morayta. It was renumbered (17) when it affiliated with the American- sponsored Grand Lodge of the Philippine Islands. In 2006, it joined six other regular lodges of the Grand Lodge of the Philippines in establishing the Independent Grand Lodge of the Philippine Islands and is now known as Bagong Buhay Lodge No 4. 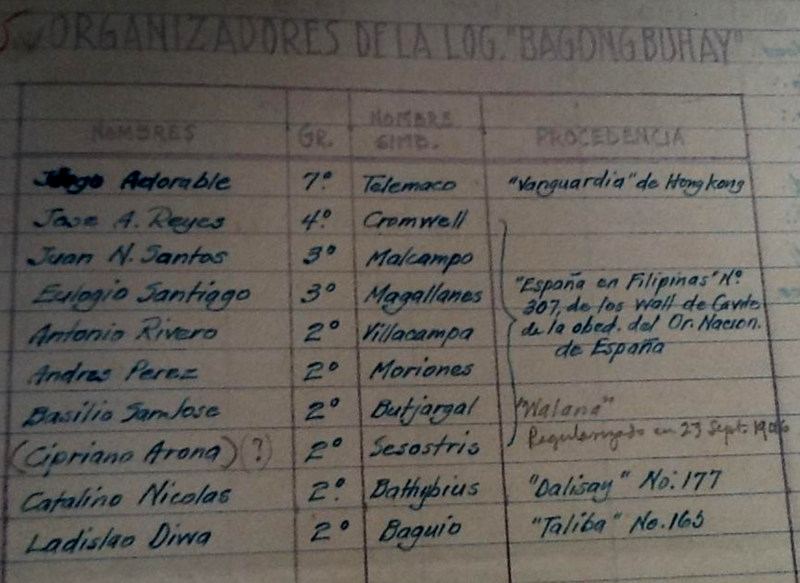 Organizers of Bagong Buhay Lodge were brethren from different Lodges: Logia Vanguardia de Hongkong; Logia Espana en Filipinas No 307, Oriente Nacional de Espana; Logia Walana, Logia Dalisay No 177 and Logia Taliba No 165. Ladislao Diwa, who was also one of the founders of the Katipunan was from Logia Taliba. Old meeting place of Logia Bagong Buhay No 291 at No 34 Trece Martires Street, Cavite City. 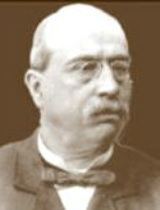 Abelardo Cuesta was one of the principal speakers during the installation of the Gran Logia Regional de Filipinas in 1907. He was a Spanish-born Mason affiliated with Logia Bathala, who supported the Filipino lodges in their move to form the Gran Consejo Regional (Grand Regional Council) in 1893. "Philippine Masonry has known how to place itself at a height worthy of all praise, showing that it represents a people full of emotional feeling, a people conscious of its spiritual oneness with its country, that beloved ideal in which are concentrated our profoundest affections and from whence irradiates love for mankind. Native land is to humanity what the lodges are to the Mother Regional Lodge and what the Mother Regional Lodge is to the Grande Oriente under whose auspices it acts. "True Filipino Masonry, I repeat, in each and every one of its symbolic lodges has given wonderful examples of strength, intelligence and devotion, also of an enviable spirit of abnegation and civic virtue, all of which have earned for the Filipino fraternity a right to stand among the nations of the world, honoring the Order and glorifying it forever. "Filipino Masonry can be proud of having satisfied its longing for an official individual wholeness, whereby the orbit of its activities will have a greater scope, a more ample representation, and the Fraternity itself greater prestige." According to Kalaw (1920) at the time of the “fusion” in 1917 the Gran Logia Regional de Filipinas of the Grande Oriente Español had 29 lodges from North of Luzon to Mindanao, not including those (five lodges) that remained inactive. Twenty six had Constitutive Charters and three were under dispensation; all of them integrated by Filipinos from all social ranks. The Grand Lodge of the Philippine Islands had scarcely 11 lodges, with only six of them holding Charters while four were under dispensation; all of which with the exception of two or three were integrated by Americans and foreigners. Both Grand Lodges, acting separately, authorize their Worshipful Grand Masters to convoke immediately a joint Assembly of Worshipful Masters, Senior and Junior Wardens and Worshipful Past Masters of all their Lodges, to hold a meeting at one o’clock in the afternoon of Tuesday, February 13, 1917, at the Masonic Temple on the Escolta. (c) To proceed immediately to the election of the officers of the Grand Lodge, in accordance with the provisions of the Constitution. None of the existing lodges or those with Charters pending, of the jurisdiction of any of the two Grand Lodges, shall have to pay any admission fee, regardless of the fact that some of them might be admitted immediately afterwards or some time later. All the existing lodges and those which may in future be installed shall enjoy the same rights and privileges. There will be no racial discrimination. Each lodge, now and hereafter, shall be free to adopt any recognized rite and language that it may choose for its work. The higher degrees will not be under the jurisdiction of the Grand Lodge, but the members of both conference committees guarantee that the present degrees of the members of every lodge will be respected without need of paying any fee. Hotel de Francia in Plaza Goiti, Santa Cruz, Manila. The scheduled banquet took place on February 13, 1917 but without the Americans who rejected fusion via a constituent convention. Manuel Quezon however, was able to persuade the Filipinos to agree to affiliation instead of fusion. Teodoro M. Kalaw was a journalist, historian, professor of constitutional law, civil servant and author of many books. He was elected to the Philippine Assembly in 1910 and represented the third district of Batangas until 1912. He became director of the Philippine Library and Museum in 1916 and in 1920, succeeded Rafael Palma as Secretary of the Interior. Shortly after the affiliation of Filipino lodges to the Grand Lodge of the Philippine Islands, Kalaw was elected as Junior Grand Warden (1919) however, he did not become Grand Master until 1928. A strong critic of the American colonization of the Philippines, he etched his name as a nationalist and defender of Filipino rights when he became editor of the newspaper El Renacimiento. In its October 30, 1908 issue, a blind editorial written by Fidel A. Reyes, appeared entitled "Aves de Rapiña" (Birds of Prey) which allegedly alluded to Dean Worcester, (former member of the First Philippine Commission); then Secretary of the Interior. Although not named, Worcester sued for libel. In 1910, El Renacimiento publisher Martin Ocampo, Teodoro M. Kalaw, and others were sentenced by an American Judge, J.C. Jenkins to imprisonment and ordered to pay damages.